If you are a real gamer, you would never use an application like PCandMobileGames because you know exactly all the important recent and upcoming games since you are always well-prepared. 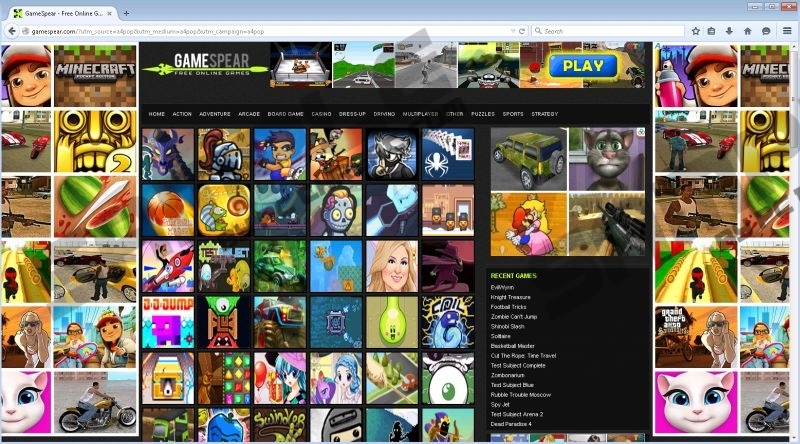 However, if you are not expert at games, but still like to play sometimes, you might believe that an application like this could be a great help to inform you about the best latest games either on your PC or your mobile phone. But we still have to say no regarding PCandMobileGames and warn you that this is a worthless ad-supported program, nothing more. We also advise you to remove PCandMobileGames from your computer as soon as possible, because it may expose you to unsafe third-party content through the advertisements it starts showing on your screen once it activates. Its presence also signals that there may be other infections on-board as well, so the sooner you act, the better. PCandMobileGames is available for download on its official website at pcandmobilegames.com, but we are quite skeptical about this site, too. It is rather a single and simple page really. Once you click on the Download Free button, you will have a mixed feeling of disappointment and suspicion as well. If you keep updating your browsers, it is likely that they will block the installer executable file right after it starts downloading. Well, that is a clear sign that you should stay away from this application. But we are pretty certain that not too many users end up on this site at all. It is more common to find this adware being distributed in free software packages. But these bundles may contain other malware programs, including adware apps, browser hijackers as well as potentially unwanted programs. You can download such a corrupted bundle from unreliable file-sharing and torrent websites. That is why you need to be very careful with the choice of websites and where you download free software from. You had better stick with reputable websites when it comes to freeware; otherwise, you may end up installing a whole pack of malware threats. And then, removing PCandMobileGames will not help you save the day; you will also have to tackle the whole invasion situation, unless you want to wait till your system gets totally crippled. Since this application is no use for you at all, what’s more, it can introduce you to unreliable websites through its advertising “campaign,” we believe that your computer is a safer place without this useless application. Furthermore, the ads it displays and annoys you with may have nothing to do with best games or games at all. We do not think you need more convincing or proof, so here is what you need to do to eliminate this threat factor: Uninstall PCandMobileGames via Control Panel – as simple as that. Please use our instructions below to assist you with that. However, if you want to be perfectly sure that there is no more threat on your machine, we advise you to run a full system scan using a free online malware scanner, for example. If it returns the results and finds anything on your system, you should not hesitate to acquire an authentic antimalware program to give your PC full-time protection. Quick & tested solution for PCandMobileGames removal.